I had the pleasure of speaking with Bob Biale, Steve Hall (winemaker) and Bob’s mother, Clementina for our second program of Noble Rot Talks. To listen, subscribe to our podcast or download an MP3 to listen at your leisure, click here. 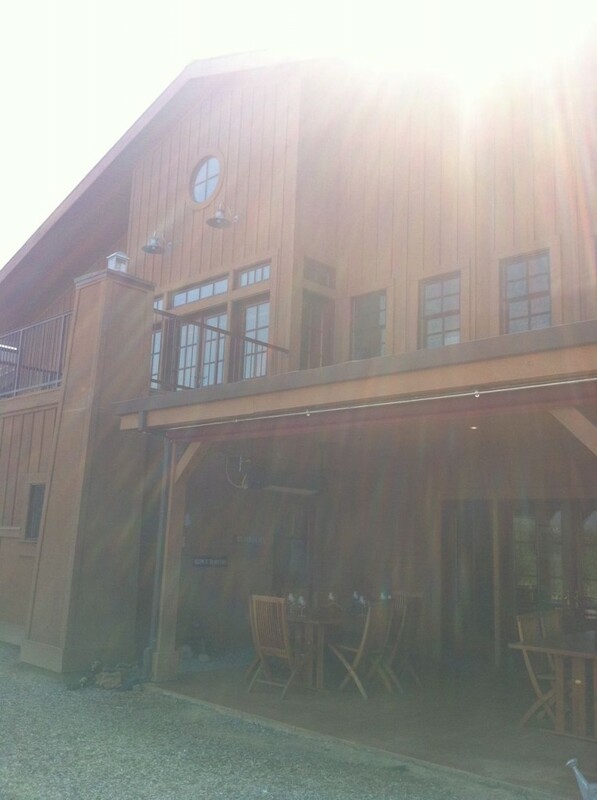 Robert Biale Vineyards is at 4038 Big Ranch Road in Napa, California. The winery is famous for its Zinfandels, and Bob tells a great story about the “Black Chicken” operation his dad was involved in during that ridiculous national experiment of Prohibition. I will say, however that Ken Burns’ first episode shed some interesting light on why we enacted Prohibition — the alcohol abuse was so rampant that many families (many mothers) were in total support. That… I can understand. And our country was much smaller in the earlier part of the 20th century than it is today and that’s a very real factor to consider. Robert Biale Vineyards - tasting patio. We walked through the crush pad and eventually settled down on a porch overlooking the vineyards. Bob and I chatted about the history of Napa and how at one time Prune trees and Walnut trees could be seen as far as the eye could grasp – not vineyards. We also talked about the labor and incredible struggles many immigrants went through working to build the valley into what it is today. His father, Aldo Biale, is one of those individuals. At age 14, Aldo’s father passed away and he had the responsibility of taking care of a family. Age 14! And Clementina and Bob recount a story in the podcast of how Aldo turned a tough situation into a profitable opportunity. And once you know the story behind the wine, go, good wino and seek out a bottle and think of Aldo and the Biale’s – think of sunny Napa and do it over good Italian cuisine. 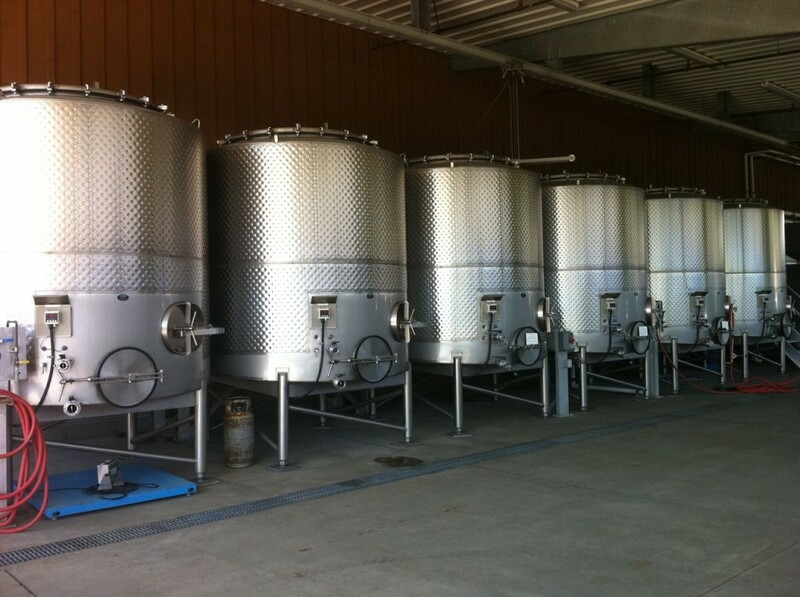 Robery Biale Vineyards crushpad - lookee them stainless steel! 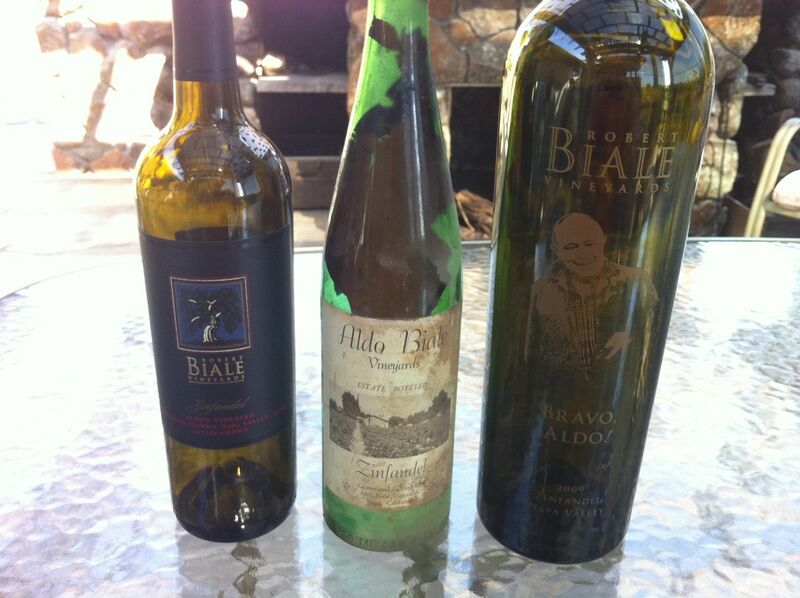 Biale Wines! Zinfandel and then two delectable looking wines that the family had opened and drank the night before with dinner. Look at the sediment in the middle bottle! Wild. Clementina said they all tasted, "very nice." 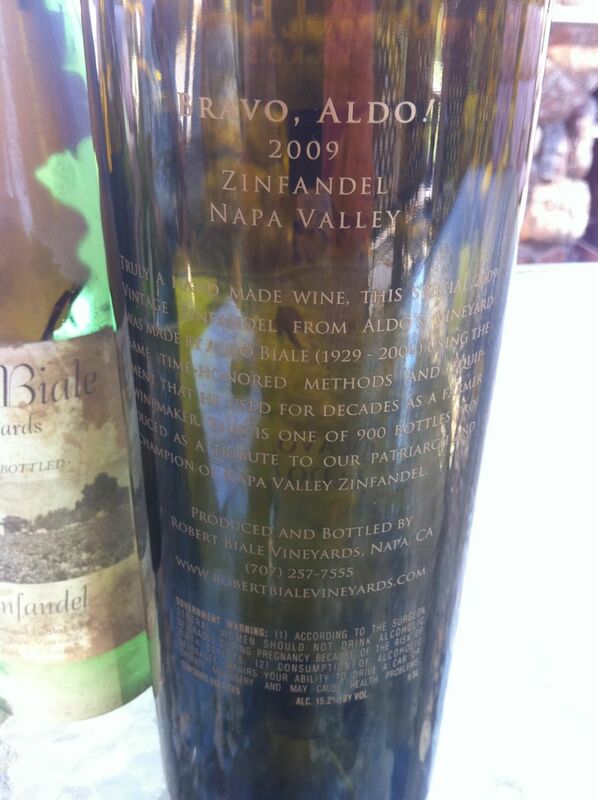 Reverse side of "Bravo Aldo!" talking about Aldo's Vineyard. Tags: black chicken, Bob Biale, Jonathan Cristaldi, Jonny Cigar, noble rot talks podcast, prohibition, Robert Biale Vineyards, Steve Hall, The Noble Rot, watch for black chicken, wine, winemaking, Zinfandel.